I'm so excited to finally be sharing these boots with you! They have been on repeat in my outfits the past few weeks. 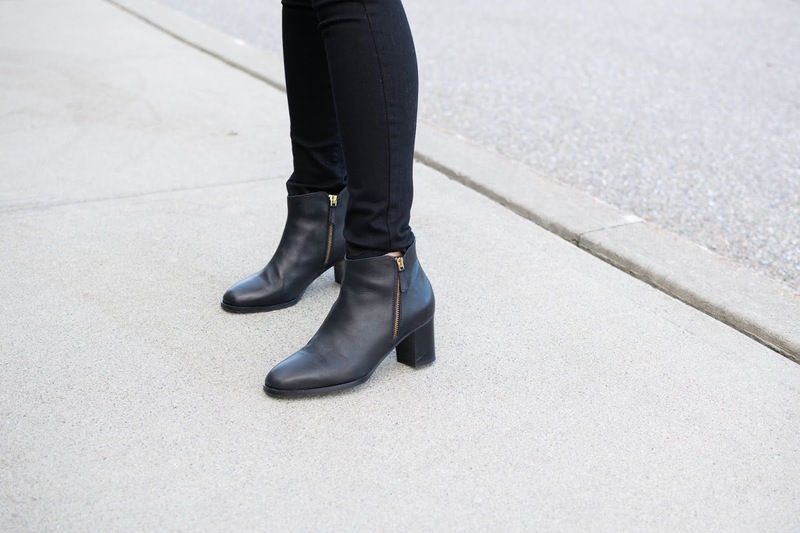 These are the SAS Delia bootie in black. You might remember earlier this year I introduced you to SAS shoes sharing with you the cutest pair of sneakers (which I love!). 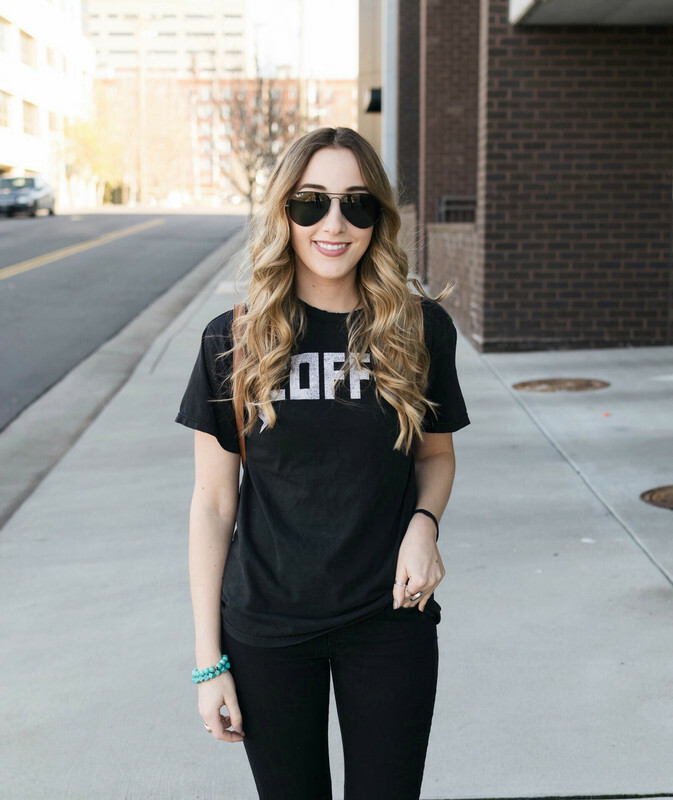 Why I love this brand so much, is because you don't have to sacrifice style for comfort. These boots match everything in my wardrobe and are insanely comfy. I've worn them to work (teaching on my feet all day) with no discomfort, which is a huge win! I've paired these with dresses & tights, denim & a blouse and even leggings with a tunic. 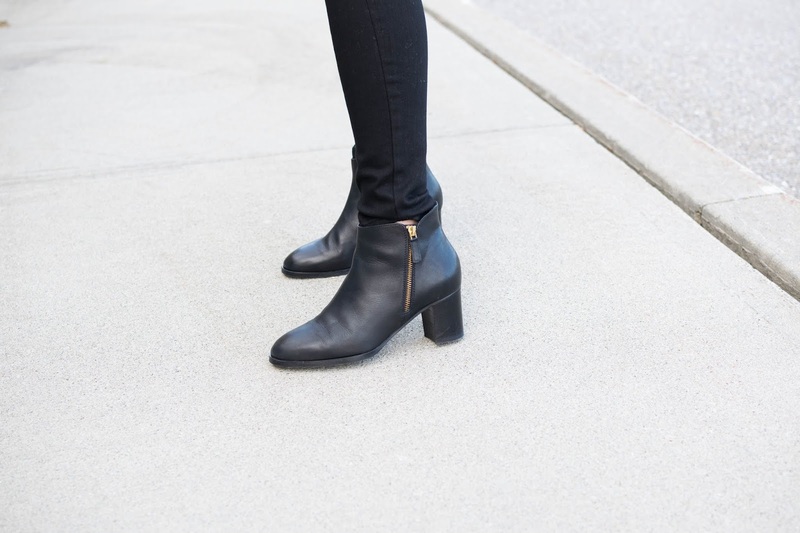 The heel on these booties is the perfect height- not too tall but also not completely flat which can be unflattering. 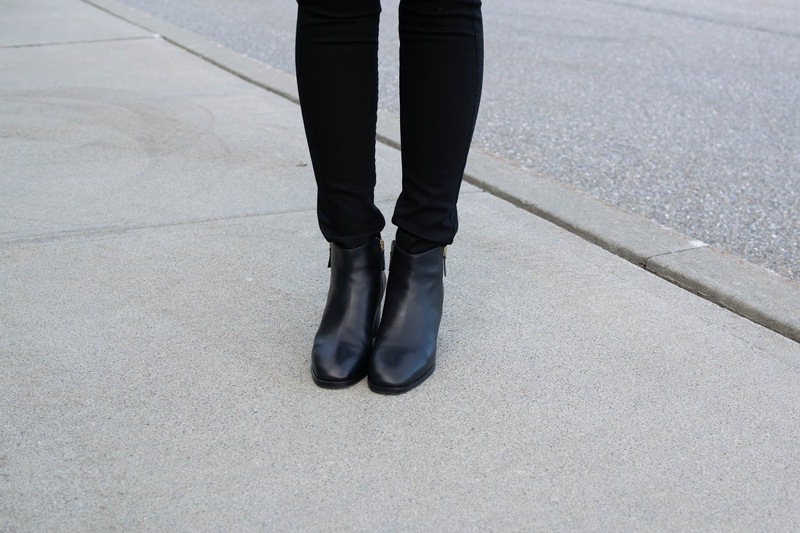 The boots elongate my legs and are so flattering- I find myself always reaching for them! I hope you've enjoyed this post. Make sure to check out SAS Shoes! I LOVE this brand! Their shoes are so comfy and chic! These booties are so so cute! I love how you styled them. And I actually have the same rug as you! Love the outfits you put together with these boots! And how have I not heard of this brand? Looking them up now!